SkinRx Lab MadeCera Re-turn Express Microfiber Mask ($6) - This mask is intended to repair damaged skin. It contains naturally-fermented ceramide and madecassoside, an herbal remedy derived from Centella asiatica that stimulates collagen production and has anti-inflammatory effects. 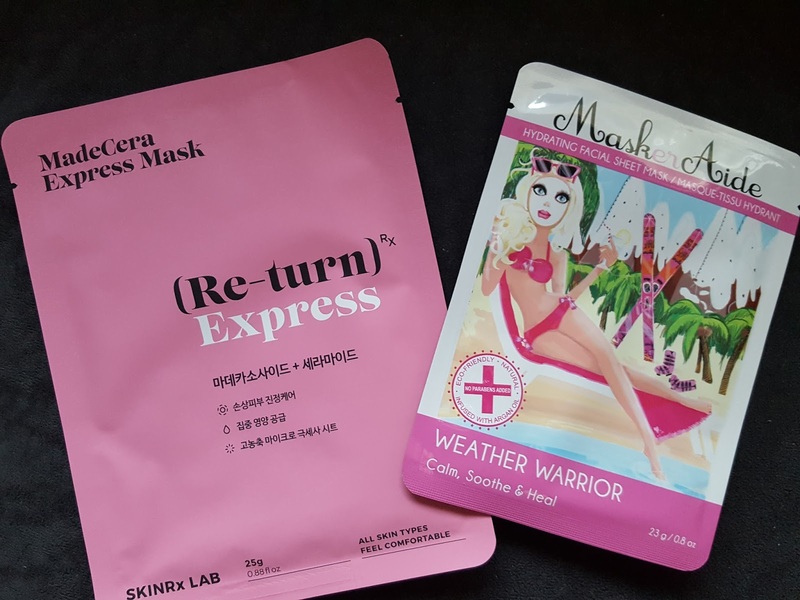 MaskerAide Weather Warrior Sheet Mask ($7) - Whether your skin is dry and damaged from sunburn or windburn, this mask can help. It's enriched with aloe, green tea, witch hazel, and argan oil to soothe, calm and heal your skin. And I'm not sure how, but supposedly it can help prolong your tan?!? 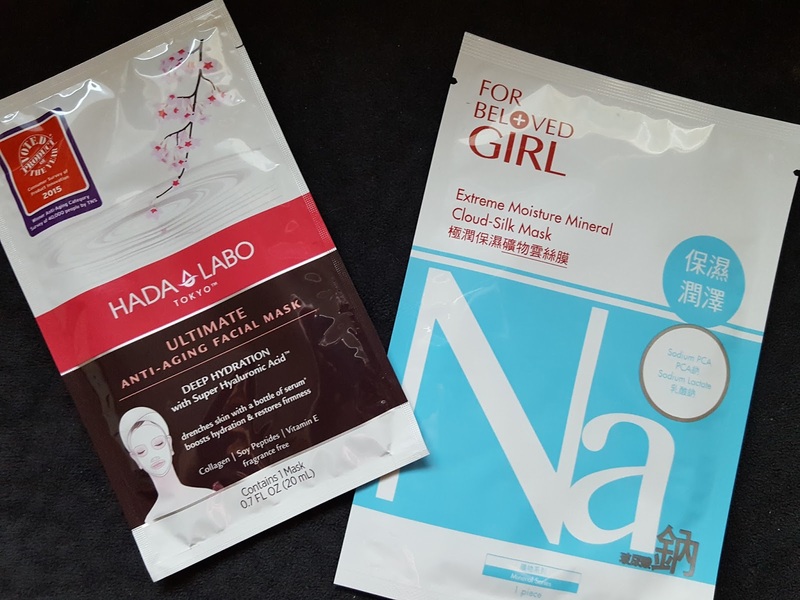 For Beloved Girl Extreme Moisture Mineral Cloud-Silk Mask ($3) - If you have dry skin you'll love this mask from Taiwan. It's loaded with hyaluronic acid, sodium PCA and sodium lactate for maximum hydration. Leave it on for 15 minutes and then enjoy plump, glowy skin all day. Wei Golden Root Purifying Mud Mask ($5) - This is Wei Beauty's top-selling mud mask for a reason. It dries without making your face feel tight and crack-y - a major plus for me. The key ingredient in here is golden root extract which counteracts oxidative stress while china clay absorbs dirt and impurities. 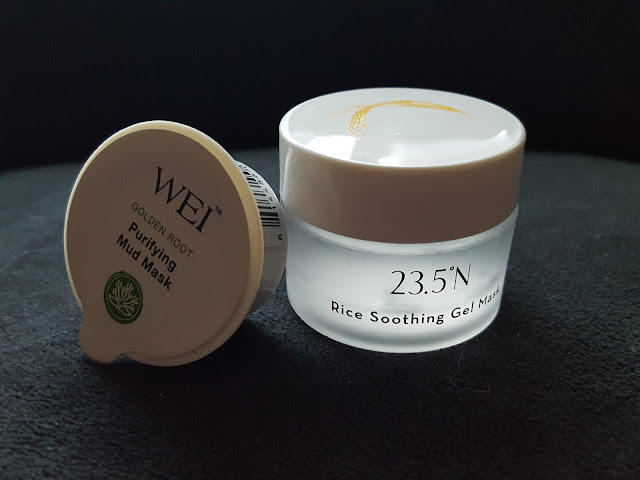 23.5N Rice Soothing Gel Mask ($6) - Oooh, another bestselling mask! This rice gel mask is 23.5N's top seller and is produced from locally sourced ingredients. The gel is cooling and soothing for dull or irritated skin. Lately my skin's been acting up and reacting to everything so I've only been using gel masks lately. I think this one will be first up in the lineup! 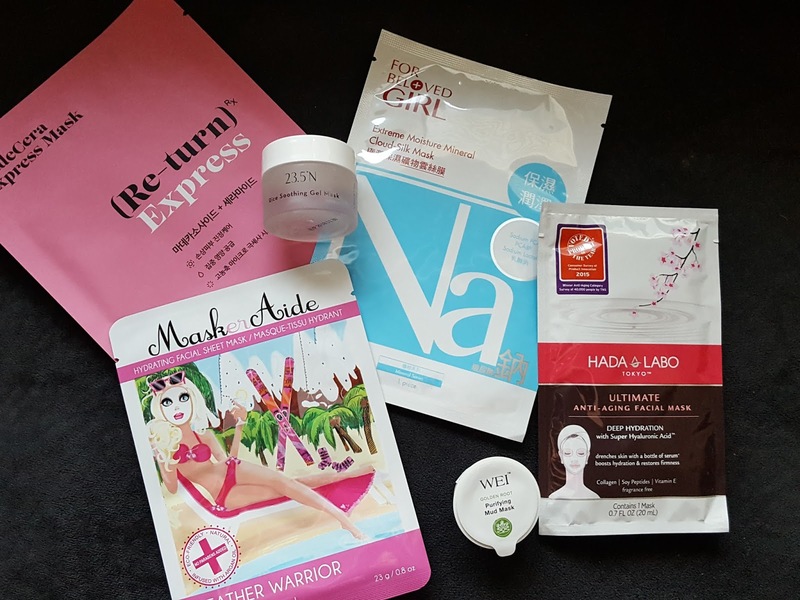 Verdict: I'm happy to get a mask box from 3B, but I think I may have to hold off on it all except for the gel mask. Sheet masks have been leaving my face tooooo hydrated and oily lately and I've been seeing an increase in breakouts. I'm hoping my face settles down soon because I really want to try the MaskerAide and mud mask!